Thank you from Stacey and I. Though the kindness of everyone we made it to over $2000 to donate two, not one like we had planned at the start, camera packs to hospitals that need them. One will be going to the new Gold Coast hospital where Ellie was born and the other to another hospital who needs it. 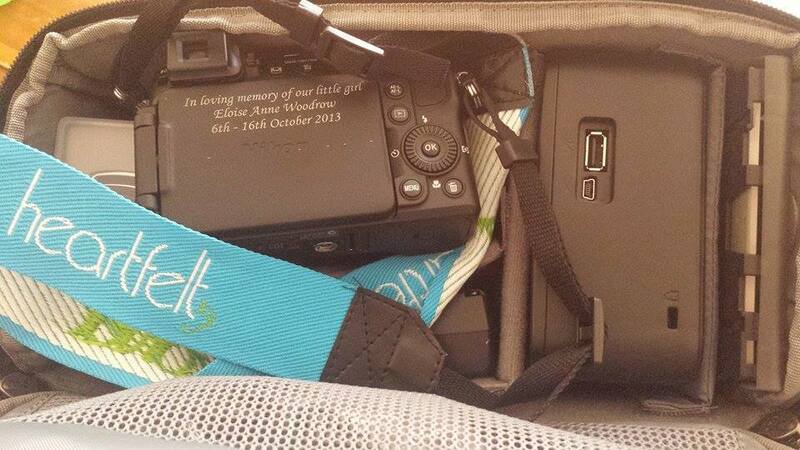 Both cameras will have Ellie’s name on them in her memory. They will go a long way to help preserve the memories of those last minutes just like it did for us with Ellie. The money is now with Heartfelt and hopefully the cameras will be done soon. I will update this post with photos once they are done. It was really amazing to see the number of people who I have never meet in person from all over the internet throwing in what they could to help us reach the goal. We are extremely grateful for everything everyone put in. Mummy, Daddy, Harry & Little Sis.. I will also add a massive thank you to DMS who has been super supportive though this whole year since Elly died, and they know very well the effect it has had on Stace and I over the past year. In a perfect world we would never had to run a fund raiser for this but I’m glad Heartfelt exist to help those of us in need at the time.